Cold calling is difficult because you have only a few seconds to grab the attention of the receiver. To gain new skills in selling, consider joining the Sales Training Course by pdtraining in Seattle, Baltimore and other cities in the U.S. Most people do not liked receiving cold calls because they are seen as an intrusion. That is largely so because customers are used to initiating a purchase. They go to a store when they want to make a purchase or they call up home delivery when they want something. Cold calling breaks this habit. The store or the company comes to the customer to sell. Even if a person would buy more than necessary at a store, when somebody cold calls, they instinctively become reluctant to purchase. Understanding this, a sales professional needs to make the offer in such a way that the potential customer does not feel forced to listen to the caller, or to make a purchase. The following are the best practices for cold calling that sales professionals can easily accommodate and use for retaining customers, increasing sales, and attracting new customers. To avoid calling people who may not want the product or the service that you are selling, make the call targeted. Many companies target cold calls by noting down the phone number of their customers when they make a purchase. When these customers receive cold calls where information is shared about offers, new products/services, promotional campaigns, etc., there are better chances of the calls leading to purchases. Only make cold calls when there is relevant information to be shared. Calls must be made less frequently to avoid annoying customers. The timing of the call is also important. Busy hours must be avoided along with morning time. These are the times when a person does not want to think about making purchases or doing less significant tasks. Cold calling does not mean that the information or the sales pitch must be forced upon the receiver. If a person tells you that they are busy, ask them about the appropriate time to call them. If a person says that they are uninterested in the information or the purchase after listening to you, thank them for their time and end the call (but only after the receiver has hung up). If, on the other hand, a receiver refuses to listen, then you may quickly summarise the reason for the call and wait for a reply. No matter how a person responds, always give them the freedom to make a decision. When making the call, make sure that there are no distractions around you that can cause interruptions or affect the quality of the call. Loud background noise, the ringing of other phones, or talking to somebody else while on a call are things that make the receiver think poorly of the service. The last thing you want to do is to make yourself seem less important to a potential customer. When the receiver is speaking, listen actively to what is being said. 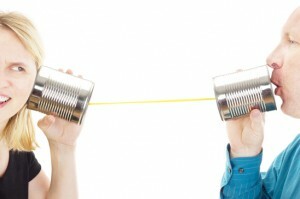 You may ask questions to engage the receiver or to understand the person’s needs better. Listening attentively helps to gain more information about the receiver, which can be used in future calls to personalise them and provide better service.